To place all the obtained chemical elements in a strict order, we need to make a high-tech solution for storing reagents, components and substances. 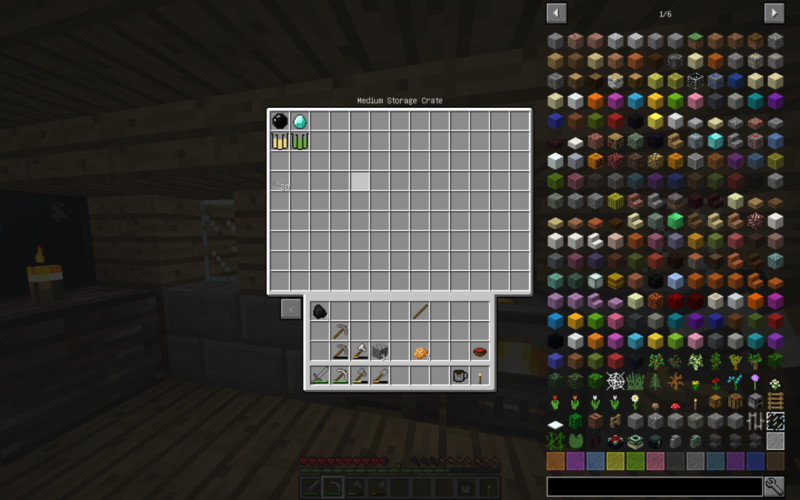 For the first time, we will use the Medium Storage Crate. Its dimensions are sufficient to place all non-radioactive chemical elements in the first compartment. And various natural and artificially synthesized chemicals in the second compartment. In the second compartment we will have allocate synthesized and natural composite chemicals and materials in the order adopted in our narrative. Creating an intuitive and subject index of the studied educational material on chemistry. We will place pure chemical elements in the order accepted in the periodic system of Mendeleyev (pages 299-301, 55-57, 875-876 of a chemical textbook). For simplicity and space saving, as well as for reasons of greater visibility, we will use grouped groups and subgroups to show reacts with the most common element in the universe and having the serial number 1 and the same core charge – Hydrogen. In total we will have 8 groups and they will all be in columns. We will have 10 columns. The first 8 are assigned to 8 valence groups. And columns 9 and 10 for the remaining 6 elements (Co, Ni, Rh, Pd, Ir, Pt). We got our set among the first (a week ago). 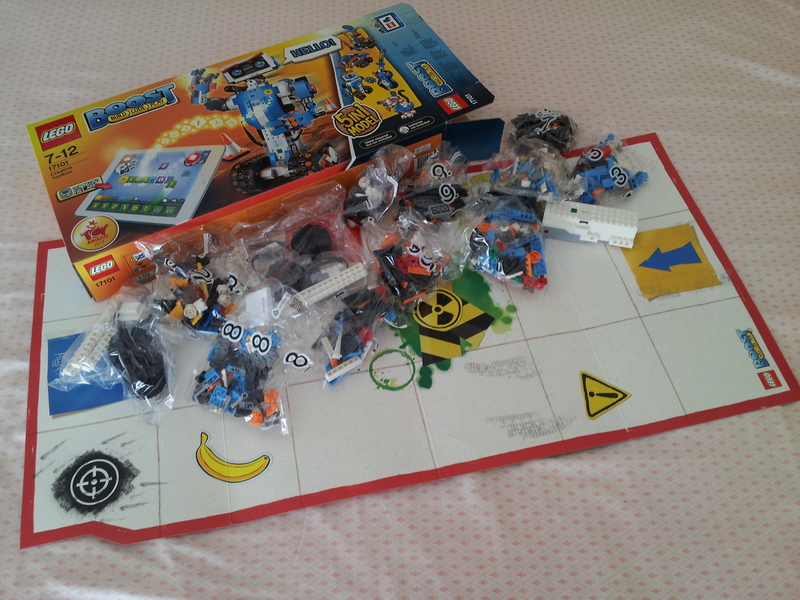 Everything is ready to test the hardware and software system Robot from LEGO. A suitable case for LEGO BOOST. Coffee with sugar and milk can create physiological effects, adding speed to the avatar. To make coffee, you need to connect Coffee Miker. As described in ALCHEMISTRY V 0.6.1 & ACTUALLY ADDITIONS, our installations are sophisticated laser technology. In Mainecraft, the Red Stone traditionally possesses the properties of transmission and storage and management of electrical circuits. Suppose that the authors hint at the ruby (page 971 of a chemical textbook), which is used in laser technology and bijou. According to the chemical structure, ruby is aluminum oxide with an admixture (0.5%) of chromium. Atoms of chromium are an active substance of a ruby crystal. To start chemical experiments, we need to build a Chemical Dissolver. This chemical plant separates complex chemicals into simple chemicals. This chemical device is not possible to assemble without the Magma block, the main component of which is the Blaze Rod (the core of the Efreet), which can be obtained by fighting and defeating Mob Blaze (Ifrit). But these mobs only spawn within Nether Fortresses, which only exist in Nether World. You can not spend a few real (and not gaming) days on the search for Nether Fortresses, if you correctly answer our questions in the Game, you will get Blaze Rod (core of the Efreet) two times the amount needed to build the Chemical Dissolver. Some of the questions are complex and you need to find answers in your Chemistry textbook. In order to successfully carry out experiments, one must understand the interrelation between the chemical and physical properties of similar elements. Russian scientist-chemist Dmitry Mendeleev more than 100 years ago discovered the principle of placing chemical elements on the basis of relative atomic mass. Later researchers were able to propose a model of the chemical atom and experimentally proved the dependence of the properties on the order number of the element which is equal to the charge of the atomic nucleus. Now that we have received all the components for all chemical laboratory machines, we need to find a suitable place for their installation. Such a place is the house of an engineer in which an energy generator, a coffee maker and other devices are already installed. Alchemy as a kind of science appeared before Chemistry. At the courts of wealthy nobles, sometimes by invitation, the Alchemists organized their laboratories. For hundreds of years, people have been interested in how the world works on our planet. But a systematic scientific approach appeared for the first time in the second half of the 17th century and at the beginning of the 18th century. Isaac Newton (page 127 of the textbook on physics) and Mikhail Vasilievich Lomonosov are famous for pioneering works in the field of natural sciences. Step by step instruction how to setup Minecraft client on the computer.